Drug Description : When ordering Vigamox be sure to choose a reputable online pharmacy that you trust. PharmaPassport.com is the first choice when searching for safe and affordable Moxifloxacin. The Vigamox medication you purchase is manufactured by Alcon Laboratories. Moxifloxacin is the generic alternative to Vigamox. Indication : Vigamox is used to treat bacterial infections in the eyes. Vigamox is an antibiotic that kills sensitive bacteria by preventing the production of essential proteins needed by bacteria to survive. Storage : Store Vigamox at room temperature away from moisture and heat. Keep the bottle properly capped and away from the reach of children and pets. Precaution : It is not known whether vigamox is harmful to an unborn baby. Do not use this medication without telling your doctor if you are pregnant, or plan on becoming pregnant during treatment. Do not use Vigamox without first talking to your doctor if you are breast-feeding a baby. If you use contact lenses, remove them before applying Vigamox. Ask your doctor if it is okay to re-insert contact lenses after applying Vigamox. Tell your doctor about all prescription and non prescription medication that you use before applying Vigamox. Some drugs may interact with Vigamox. Warnings : Be cautious when driving, operating machinery, or doing other hazardous activities while using Vigamox. Vigamox can cause blurred vision. Do not use other eye drops or medications while using Vigamox unless recommended by your doctor. Patient Family Information : Use Vigamox eye drops as instructed by your doctor. 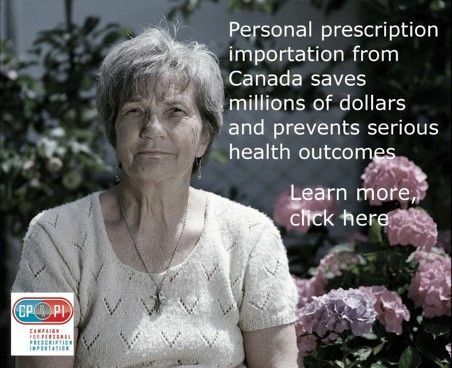 If you have questions, ask your pharmacist, doctor, or nurse to answer them. Wash your hands before using Vigamox. If you use contact lenses, take them out before using Vigamox. Check with your doctor to see if contact lenses can be re-insterted after Vigamox application. To apply the eye drops, gently shake the bottle,tilt your head back slightly and pull down on your lower eyelid. Position the dropper above the eye. Look up and away from the dropper. Squeeze out a drop and close your eye. Put gently pressure to the inside corner of your eye for about 1 minute to prevent the fluid from draining. Do not touch the dropper to any surface including your eyes or hands. The dropper is sterile. If it is to become contaminated it could cause further infection in the eye. do not use an eye drop that is discolored or has particles in it. If you miss a dose of Vigamox,apply the missed dose as soon as you remember. If it is almost time for your next dose, skip the missed dose and continue with your regular dosing schedule. Contraindication : Do not use Vigamox if you have a viral or fungal infection in the eye. Vigamox is used to treat bacterial infections only. Do not use Vigamox if you have had an allerigic reaction to other similar medicines in the past. Similar medicines include gatifloxacin ophthalmic (Zymar), gatifloxacin (Tequin), ciprofloxacin ophthalmic (Ciloxan), ciprofloxacin (Cipro), ofloxacin ophthalmic (Ocuflox), ofloxacin (Floxin), norfloxacin ophthalmic (Chibroxin), norfloxacin (Noroxin), levofloxacin ophthalmic (Quixin), levofloxacin (Levaquin), lomefloxacin (Maxaquin), sparfloxacin (Zagam), trovafloxacin (Trovan), and moxifloxacin (Avelox). Tell your doctor if you are using any of these medications before using Vigamox. Sever Side Effects : Serious side effects are not expected to occur while using Vigamox. Some less serious side effects including burning, stinging, irritation, itching, redness, tearing, or blurred vision may occur. When ordering Vigamox be sure to choose a reputable online pharmacy that you trust. PharmaPassport.com is the first choice when searching for safe and affordable Moxifloxacin – Generic. copy of their prescription and following that the customer must mail the actual original prescription to PharmaPassport.com.The Vigamox medication you purchase is manufactured by Sandoz. Moxifloxacin – Generic is the generic alternative to Vigamox. call our toll free number 1-866-293-3904 from Monday to Friday from 6am to 6pm and Saturdays from 7am to 4pm., When ordering Vigamox be sure to choose a reputable online pharmacy that you trust. copy of their prescription and following that the customer must mail the actual original prescription to PharmaPassport.com.The Vigamox medication you purchase is manufactured by Alcon Laboratories. Moxifloxacin is the generic alternative to Vigamox. Vigamox is used to treat bacterial infections in the eyes. Vigamox is an antibiotic that kills sensitive bacteria by preventing the production of essential proteins needed by bacteria to survive. Store Vigamox at room temperature away from moisture and heat. Keep the bottle properly capped and away from the reach of children and pets. It is not known whether vigamox is harmful to an unborn baby. Do not use this medication without telling your doctor if you are pregnant, or plan on becoming pregnant during treatment. Do not use Vigamox without first talking to your doctor if you are breast-feeding a baby. If you use contact lenses, remove them before applying Vigamox. Ask your doctor if it is okay to re-insert contact lenses after applying Vigamox. Tell your doctor about all prescription and non prescription medication that you use before applying Vigamox. Some drugs may interact with Vigamox. Be cautious when driving, operating machinery, or doing other hazardous activities while using Vigamox. Vigamox can cause blurred vision. Do not use other eye drops or medications while using Vigamox unless recommended by your doctor. Use Vigamox eye drops as instructed by your doctor. If you have questions, ask your pharmacist, doctor, or nurse to answer them. Wash your hands before using Vigamox. If you use contact lenses, take them out before using Vigamox. Check with your doctor to see if contact lenses can be re-insterted after Vigamox application. To apply the eye drops, gently shake the bottle,tilt your head back slightly and pull down on your lower eyelid. Position the dropper above the eye. Look up and away from the dropper. Squeeze out a drop and close your eye. Put gently pressure to the inside corner of your eye for about 1 minute to prevent the fluid from draining. Do not touch the dropper to any surface including your eyes or hands. The dropper is sterile. If it is to become contaminated it could cause further infection in the eye. do not use an eye drop that is discolored or has particles in it. If you miss a dose of Vigamox,apply the missed dose as soon as you remember. If it is almost time for your next dose, skip the missed dose and continue with your regular dosing schedule. Do not use Vigamox if you have a viral or fungal infection in the eye. Vigamox is used to treat bacterial infections only. Do not use Vigamox if you have had an allerigic reaction to other similar medicines in the past. Similar medicines include gatifloxacin ophthalmic (Zymar), gatifloxacin (Tequin), ciprofloxacin ophthalmic (Ciloxan), ciprofloxacin (Cipro), ofloxacin ophthalmic (Ocuflox), ofloxacin (Floxin), norfloxacin ophthalmic (Chibroxin), norfloxacin (Noroxin), levofloxacin ophthalmic (Quixin), levofloxacin (Levaquin), lomefloxacin (Maxaquin), sparfloxacin (Zagam), trovafloxacin (Trovan), and moxifloxacin (Avelox). Tell your doctor if you are using any of these medications before using Vigamox. Serious side effects are not expected to occur while using Vigamox. Some less serious side effects including burning, stinging, irritation, itching, redness, tearing, or blurred vision may occur.